Ductless systems are among the most popular options these days for heating and cooling in modern homes. 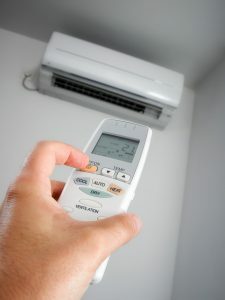 Rather than operating via a series of air ducts connected to an indoor air handler and evaporator unit, a ductless system breaks up the indoor unit and blower fans to distribute that system throughout your home in the form of individual air handlers mounted on the walls of the rooms they’re needed in. This helps with efficiency by allowing you to have zone controlled heating and cooling in your home, among other important benefits. But what’s also important to recognize about ductless systems is they can have unique repair needs. We aren’t saying this to discourage you from installing this type of system, but rather to stress the importance of professional ductless services, such as installation and maintenance. Read on to learn more about these unique needs. Each of the wall-mounted air handlers connected to the outdoor unit of your ductless system has a series of connections routed through a hole behind it—a power line, a refrigerant line, and condensate line. The last one removes water moisture from the cooling process so that it doesn’t enter your home. These lines can leak, and if this occurs, water starts to develop between the back of the air handler and the wall. What eventually happens is that the weakening of the wall material causes the air handler to rip away and fall off the wall. This, of course, damages the wall, and probably also damages the air handler! If you ever see any sign of water damage around an air handler, be sure to call for repairs before it gets worse. This is actually somewhat of a benefit when it comes to ductless systems. Bear with us here and think about it. If a single air handler breaks due to something like a failed motor or some other problem, the rest of the air handlers throughout the house will still work. The only part of your home that loses heating or cooling is the one with the broken air handler. When just one units stops working, you can and should still call for repairs right away, but in the meantime you’ll still be able to enjoy the comfort of your HVAC system, just in another room. A loss of refrigerant is a routine repair need for any type of air conditioner or heat pump. However, there’s a somewhat higher chance of it happening with a ductless system, since there are more refrigerant lines running to the various air handlers. Be sure to keep a close eye and ear out for the warning signs of refrigerant loss. This can include a drop in heating or cooling power, the coils icing over in the air handlers, and/or a hissing noise coming from the system. Refrigerant loss is something that must be fixed right away, or else your entire system can break down. Shavitz Heating and Air Conditioning is your trusted resource for Chicago ductless services and more! Contact us today.